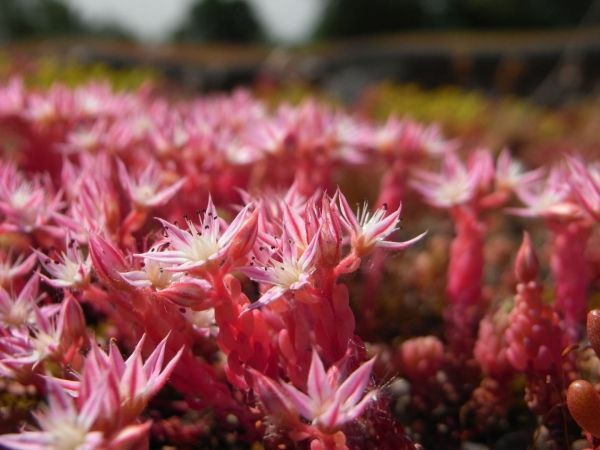 While green roofs are seen as being great for biodiversity, adding habitat to what would otherwise be a bare roof, they can be harsh environments with high winds and extremes of temperature that make them vulnerable to drought. Because they are high, they can also be inaccessible to species that can’t fly, in particular soil organisms which are crucial for nutrient cycling and sustainable plant growth. The study, by Dr Heather Rumble, Senior Lecturer in Environmental Geography at the University of Portsmouth and Dr Paul Finch and Professor Alan Gange from Royal Holloway, University of London, aimed to find out whether soil organisms, such as mites, springtails (tiny insect-like creatures), bacteria and fungi are introduced to green roofs in their building materials or arrive on a green roof via other mechanisms, like travelling on birds or in “aerial plankton” (tiny creatures riding air currents).